Things are heating up for Mo and Tony, and Sinful might be just a little too hot for Mo thanks to Carter’s slip of the tongue. As she considers Tony’s offer to live in Faultless, Minnow and her new husband make a sudden and surprising move to Sinful. Meanwhile, Gertie’s Cadillac has taken far too long to repair, so Ida Belle decides it’s time to visit Honest Abe’s and give him a tune up. Unfortunately, Abe’s is raided and shut down by the FBI before Gertie can retrieve her Cadillac. A look at the fine print in the contract Gertie signed with Abe sends her into hiding and her friends to the rescue. 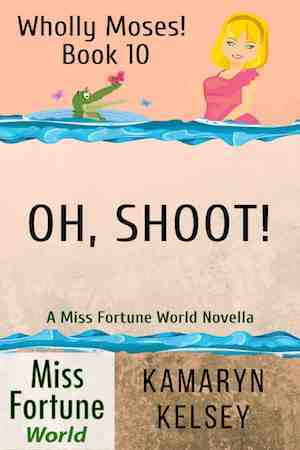 Minnow soon finds herself right in the middle of the usual Sinful mayhem, and Marc? He wonders if Sinful is really hell.